Two arrested with python, leopard skins in Kicwamba. 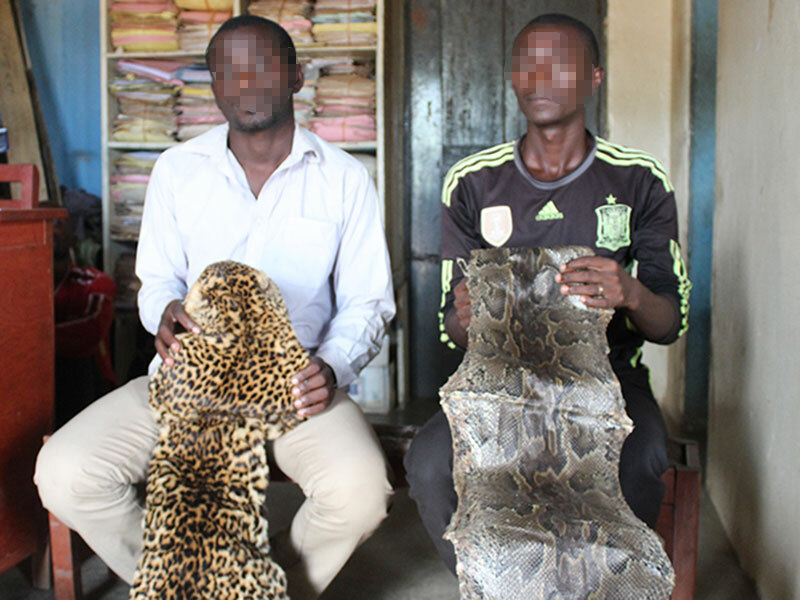 RUBIRIZI—Police in Rubirizi District are holding two men arrested in possession of a python and leopard skin. The suspects a 32-year-old businessman from Katara II zone in Kicwamba Sub-county, a 26-year-old businessman from Lubaga Division in Kampala, were arrested with the help of Natural Resource Conservation Network (NRCN). One of the suspects told Police that the skins belonged to a fellow businessman who had simply given him to keep. The suspects are currently being detained at Kicwamba Police post pending charges in court. According to the NRCN legal and prosecution officer, Massa Leonard, the suspects will be charged with unlawful possession of a protected species contrary to Sections 30 and 75 (b) of the Uganda Wildlife Act. The act punishes the crime with a fine of not less than Sh1 million or a prison term of five years upon conviction. According to Moses Mulamuzi, Kicwamba police post officer in charge of CID, the suspects could have got the species from the surrounding Queen Elizabeth National Park. Rubirizi District Police Commander Ahmed Hasunira said rampant trade in illegal wildlife products is one of the reasons that tourism in the area has been affected.